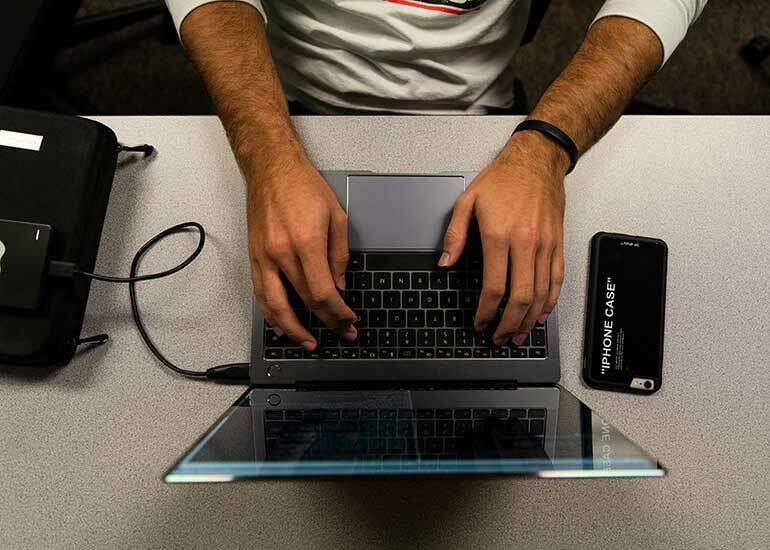 If you’re seeking a degree that prepares you to find technological solutions in today’s business environment, George Fox University's bachelor's degree in information systems is an ideal fit. Students in our information systems major study the integration of information technology solutions and business processes to meet the needs of an organization, enabling them to effectively achieve their objectives. Information systems requires an understanding of both the technical and organizational factors that affect the creation and deployment of information technology solutions. Our 49-semester-hour information systems course of study covers topics ranging from the principles of financial accounting and business ethics to web-based programming, client-server systems, software engineering and data communications and networks. Request more information about the information systems major at George Fox University or schedule a visit to begin your education at Oregon's Christian university, ranked as one of the top Christian colleges in the nation by Forbes. According to the Bureau of Labor Statistics, computer and information technology occupations are projected to grow 12 percent from 2016 to 2026. These occupations are expected to add about 44,200 new jobs, from about 367,600 jobs to about 411,800 jobs from 2016 to 2026, in part due to a greater emphasis on cloud computing, the collection and storage of big data, more everyday items becoming connected to the Internet in what is commonly referred to as the “Internet of things,” and the continued demand for mobile computing.